Wolfgang Puck Express « Davis & Associates, Inc.
Davis & Associates was assigned eight (8) various retail build-out spaces located in the New Indianapolis Airport, one of them being the Wolfgang Puck Express restaurant. 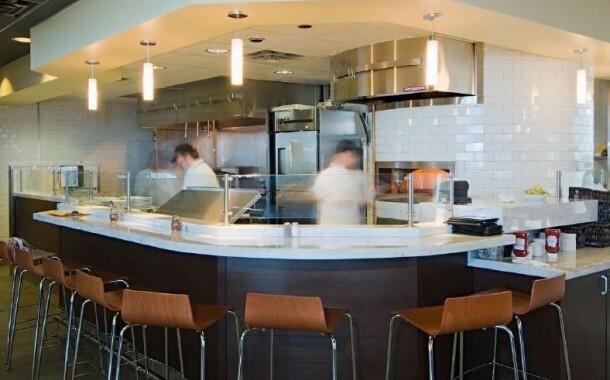 Wolfgang Puck Express offers its’ most popular dishes fast and affordably. At approximately 1,450 square feet space, this restaurant build-out included a brick-oven for pizza baking and a new wood bar.